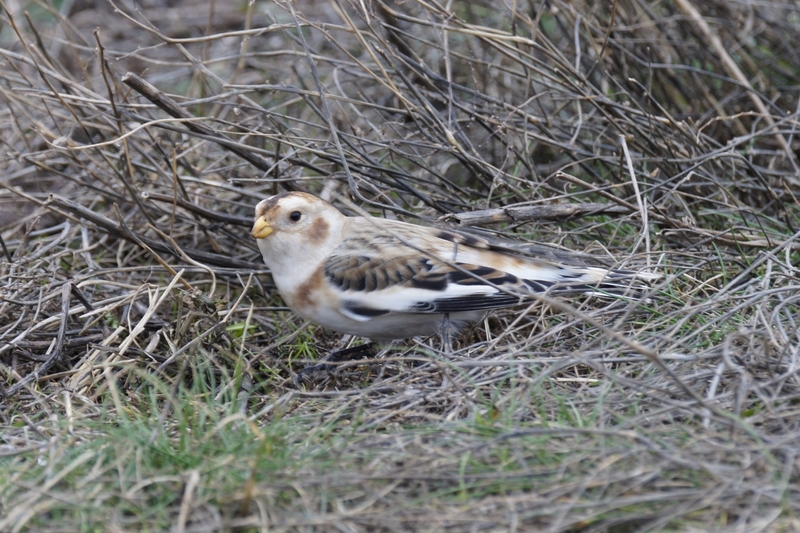 Snow Buntings at Filey | Why watch wildlife? 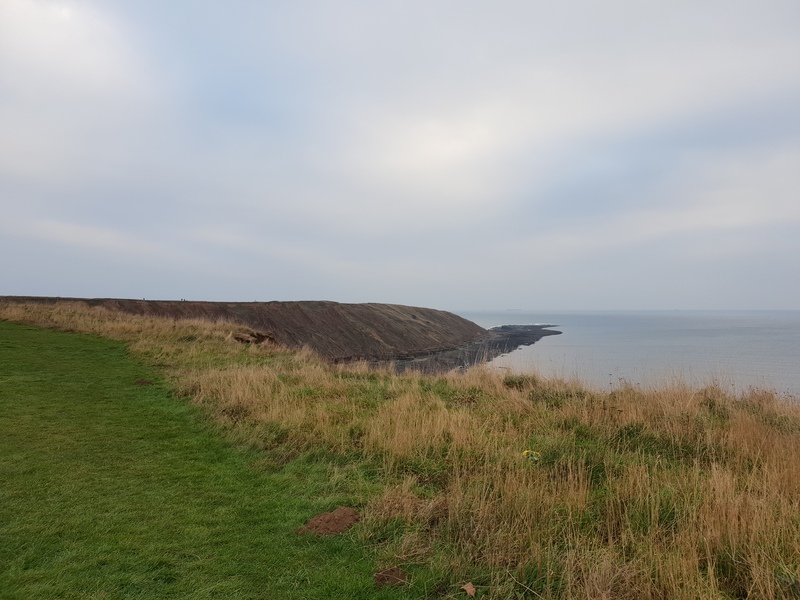 With a small but doggedly persistent group of Snow Buntings occupying Carr Naze above Filey Brigg, the last weekend before returning to work seemed perfect for a trip to the coast. The hope with any such trip is that the birds will still be there. 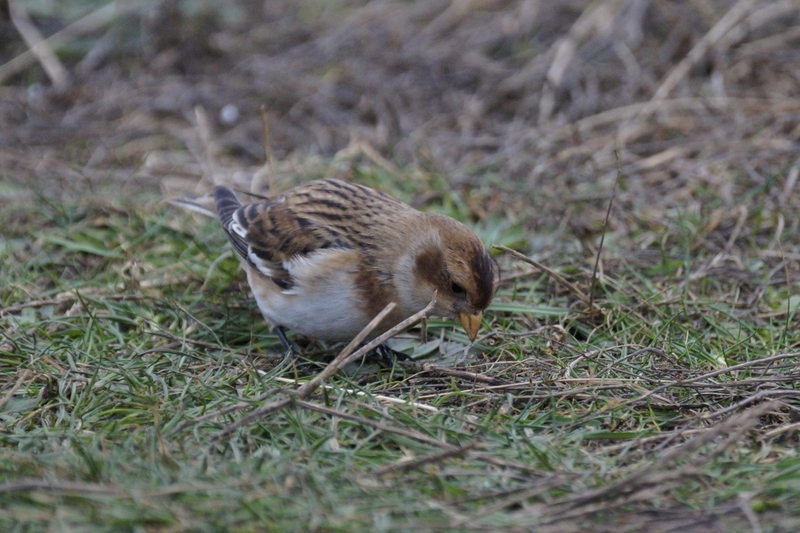 After arriving on a wind-swept and interesting clifftop we made our way to Carr Naze to hunt for the birds. 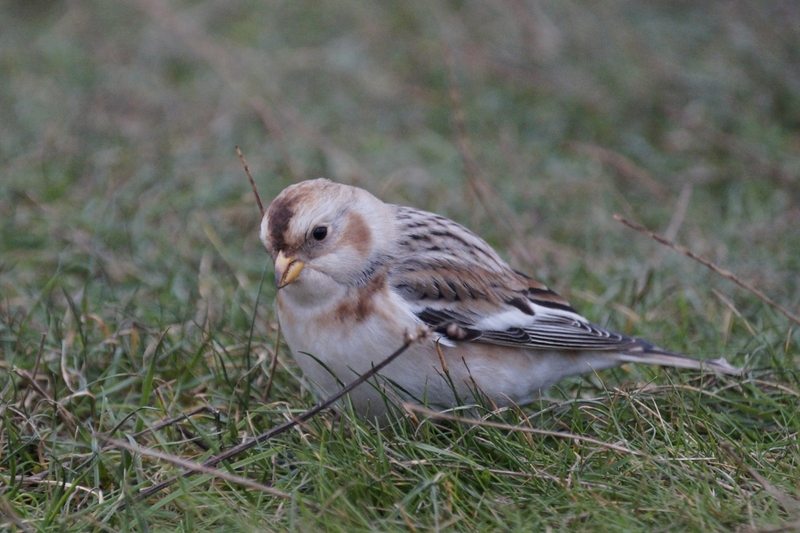 There were certainly a few birders present, but the story was the buntings were still around, faithful, but mobile and could be hard to spot in amongst the scrub. 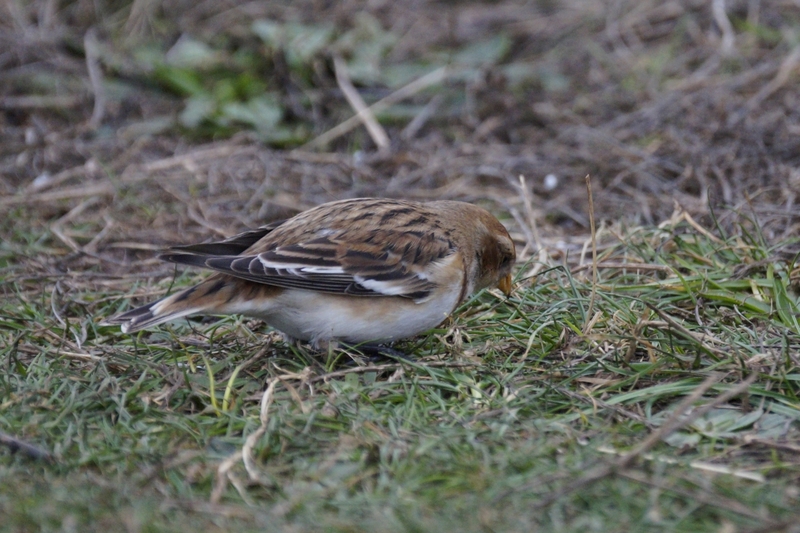 After a couple of increasingly cold circuits we finally had a brief sighting by one path, before the birds were again flushed. No luck. Then, as the area cleared of visitors, we spotted the mini-flock drop near a ‘DANGEROUS CLIFFS!” sign… Carefully we approached, and then, by the path rooting about, there they were. They seemed aware, but relaxed about our presence, so I carefully moved to within about six feet and then sat down quietly. This proved a great decision, as they happily hopped, squabbled, rooted and squeaked up to about two or three feet. 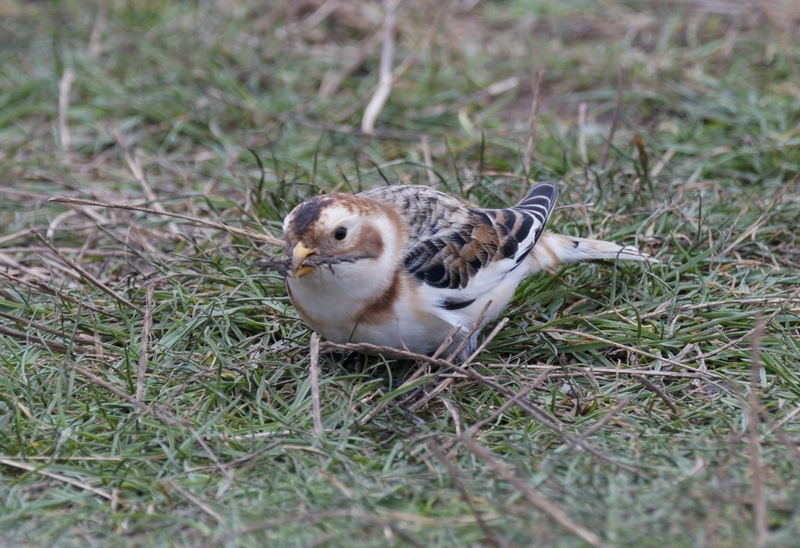 The combination of icy cold hands, blustery wind, and active birds still meant a lot of shots ended up blurred, but a few were worth keeping. If you made a sudden move, they reacted. They always kept an eye on you. 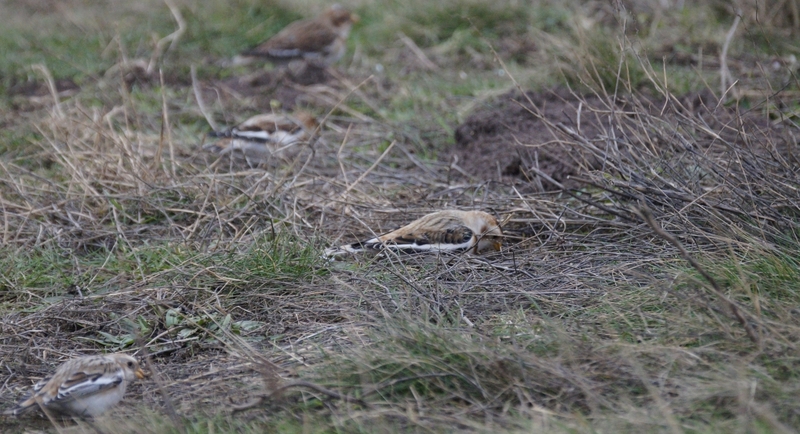 But they were still very confiding. After about ten minutes I realised I could get some video, but it was only about 10-15 seconds later that someone blundered along and spooked them. Still through the bluster of the wind, you can hear their little squeaks on this. 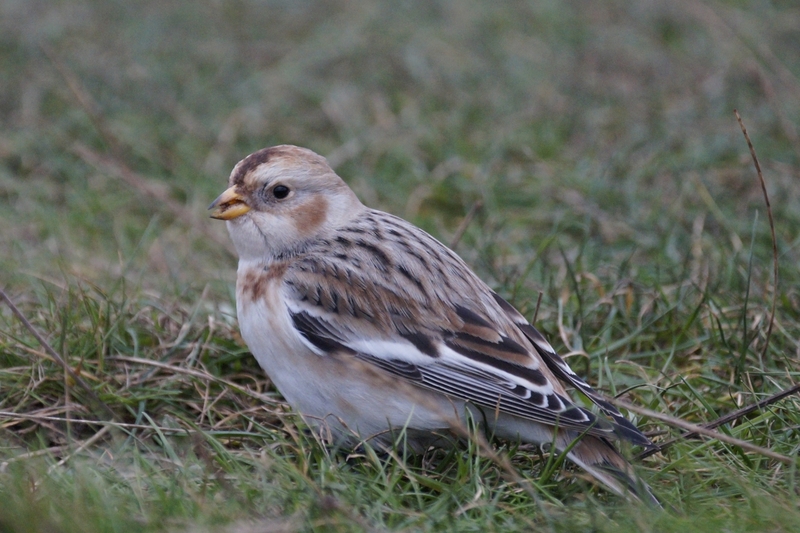 The great thing about having them so close was the opportunity to look at the variations in winter plumage between males, females, and last year’s juveniles. If you have the chance, it’s well worth a visit. 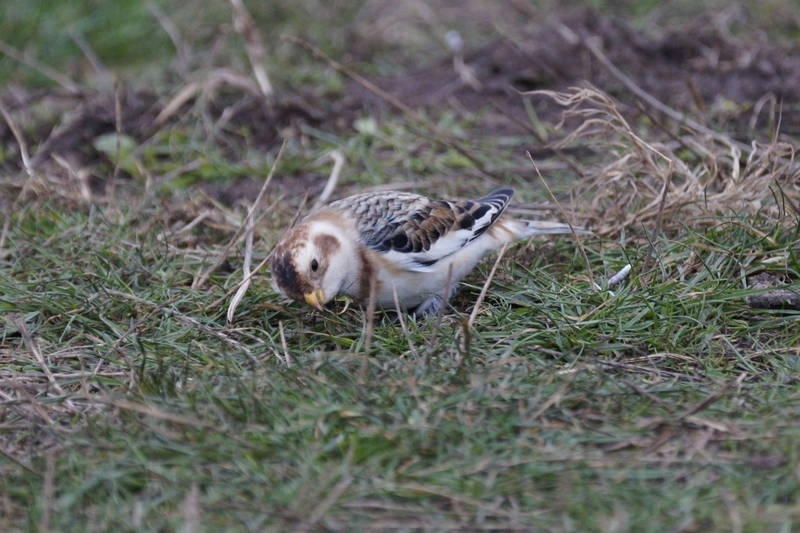 This entry was posted in Birds, Yorkshire and tagged filey, snow bunting. Bookmark the permalink. Wonderful photos, what a treat and wot no snow! No, I imagine they are secretly delighted at the lack of snow.